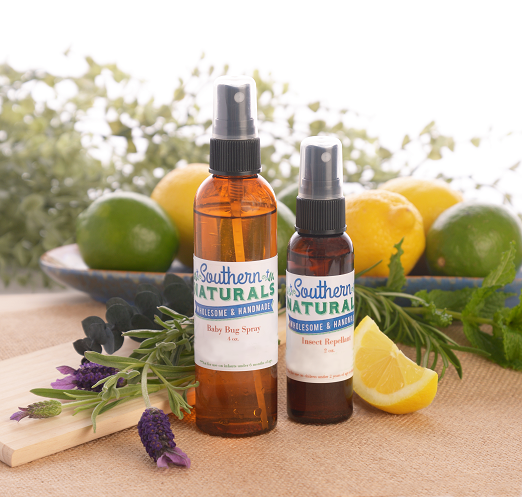 ﻿Southern Naturals deodorant is all natural, aluminum free and devoid of chemicals and toxins. While this is not an antiperspirant, organic arrowroot powder allows your body to naturally detoxify while absorbing extra moisture. 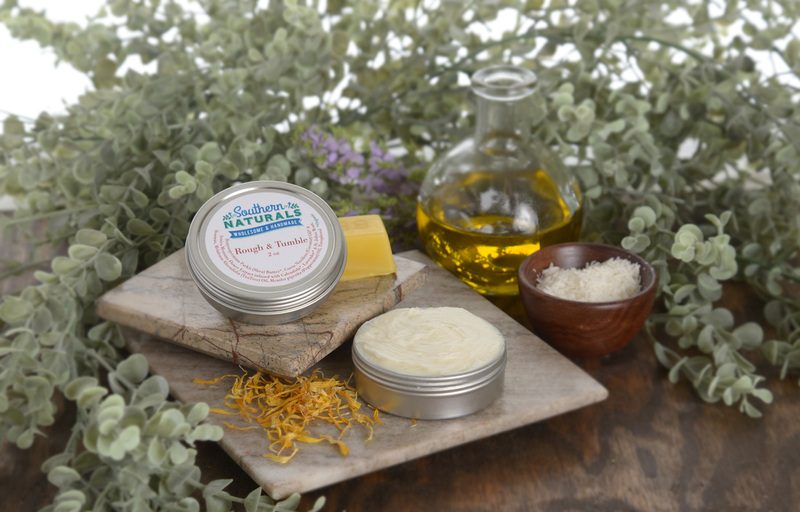 The natural fragrances you love can repel the biting insects you hate without the use of harmful chemicals. Our natural blend of citronella, lemongrass, rosemary, and other essential oils form a barrier between you and those pesky insects. 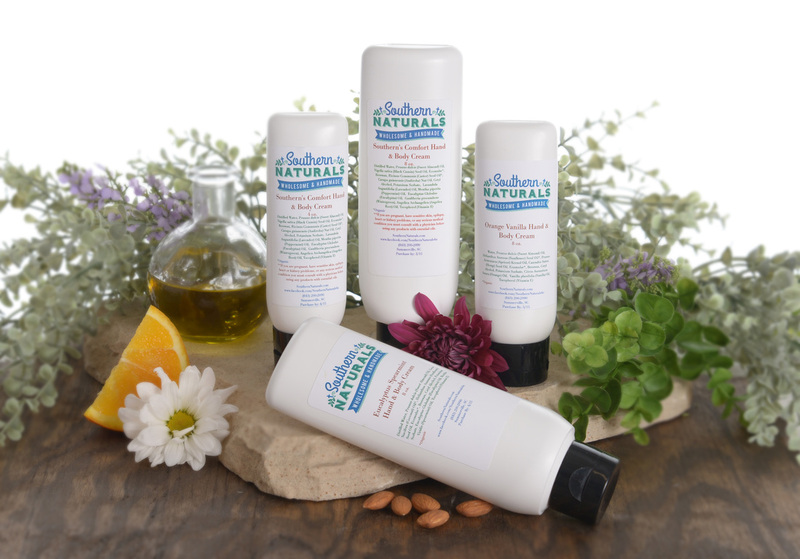 ﻿Southern Naturals has a multitude of products to help soothe and calm dry and irritated skin. All blends contain natural, organic and wild harvested herbs, vegetable oils and therapeutic essential oils for skin conditioning power. ​​Instead of overloading your skin with harmful chemicals and damaging toxins found in most products, choose our facial moisturizer. 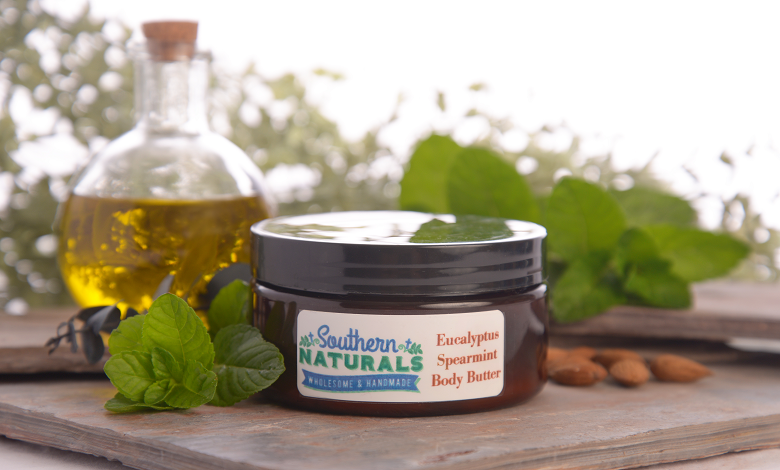 Southern Naturals moisturizer is jam-packed with vitamin rich ingredients that will hydrate your face and more. 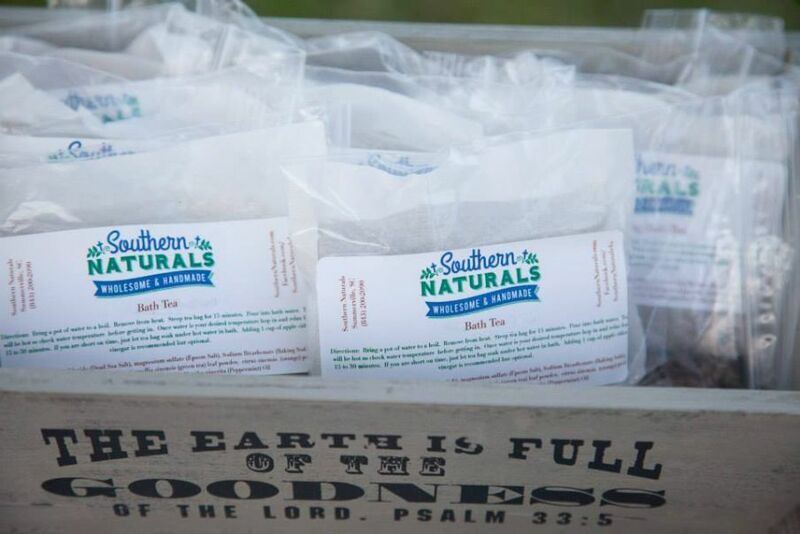 Southern Naturals handcrafted and all natural soaps are cold-process lye creations that leave your skin feeling fresh, clean and moisturized. 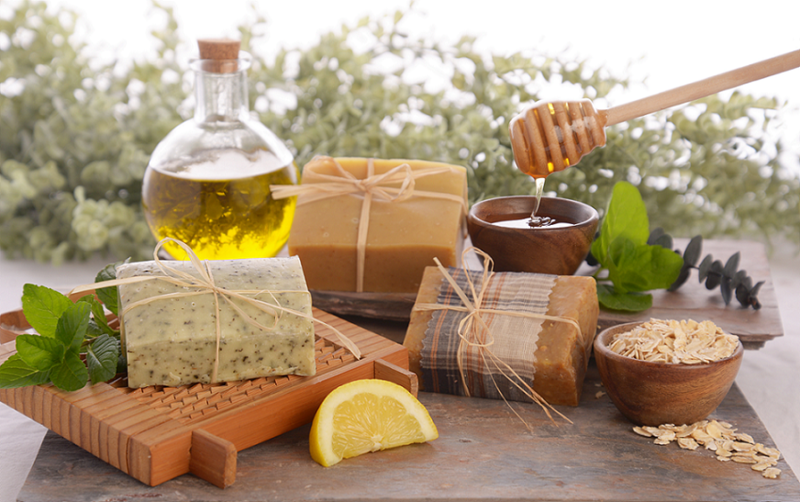 Your skin deserves the extra moisturizing power of Southern Naturals soft-skin formula which includes beeswax, natural oils and essential oils. 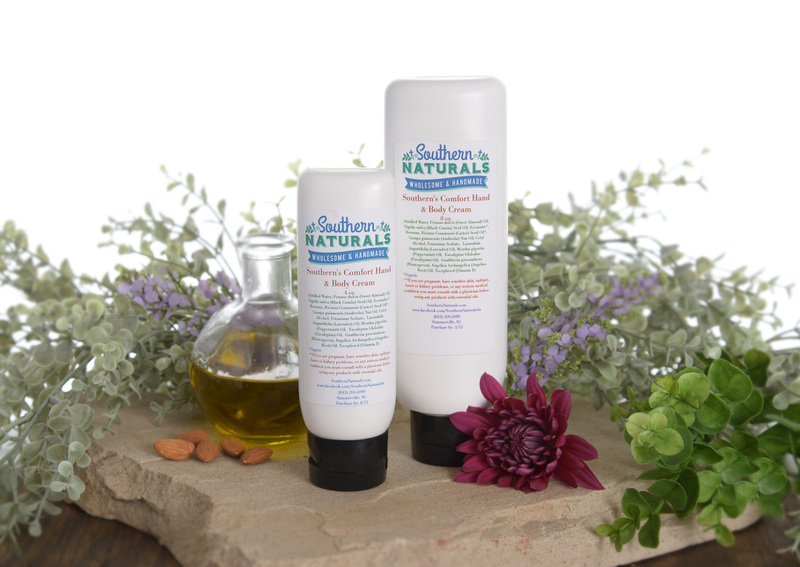 High concentration of all natural ingredients and Vitamin E soothes sensitive skin. Rich botanical ingredients keeps skin supple. 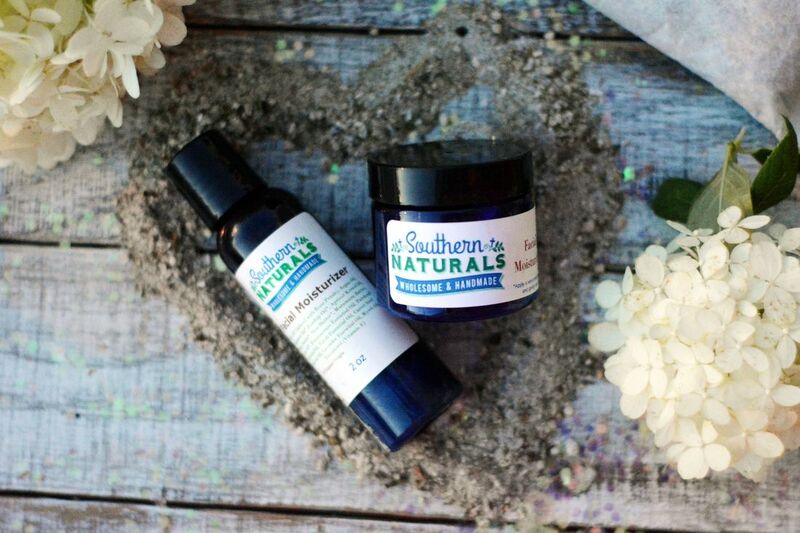 Southern Naturals salt scrub recipes use the power of nature to sooth and exfoliate leaving your skin polished and feeling like silk. Use this treatment on your hands, feet and body. 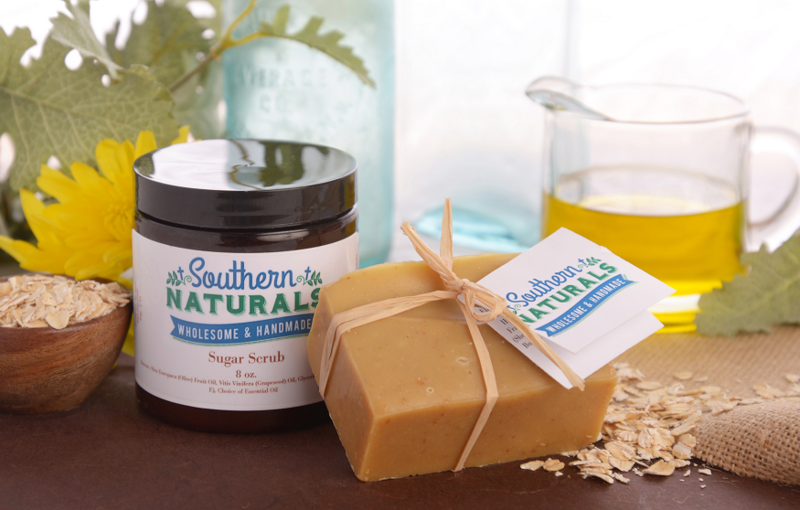 Southern Naturals sugar scrub recipe uses the power of nature's sweetness to soothe and exfoliate leaving your skin polished and feeling like silk. 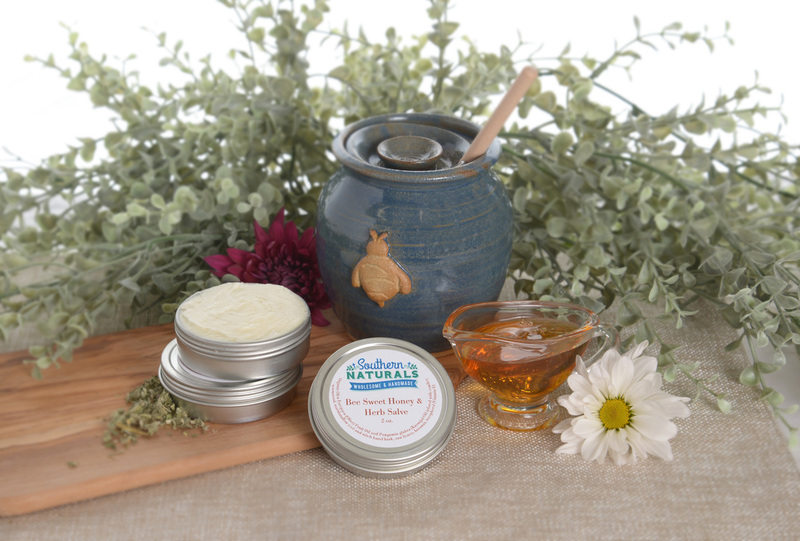 ﻿Bee Sweet Honey & Herb Salve is made with Olive Oil and Karanja oil infused with home grown Comfrey and Plaintain as well as organic Wormwood, Witch Hazel Bark, and Marshmallow Root. This is combined with local beeswax and honey to create an amazing salve. 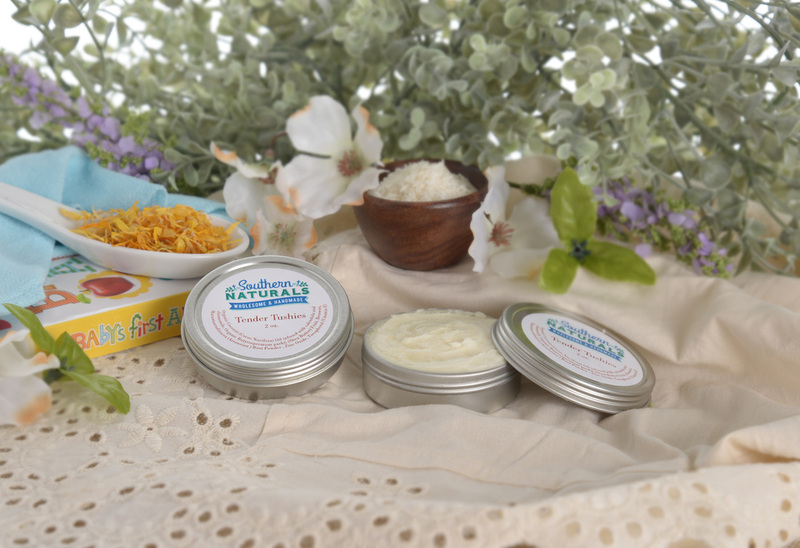 Southern Naturals body butters are made with pure oils and essential oils. This body butter was formulated to help hold hydration in longer, even for the driest of skin. 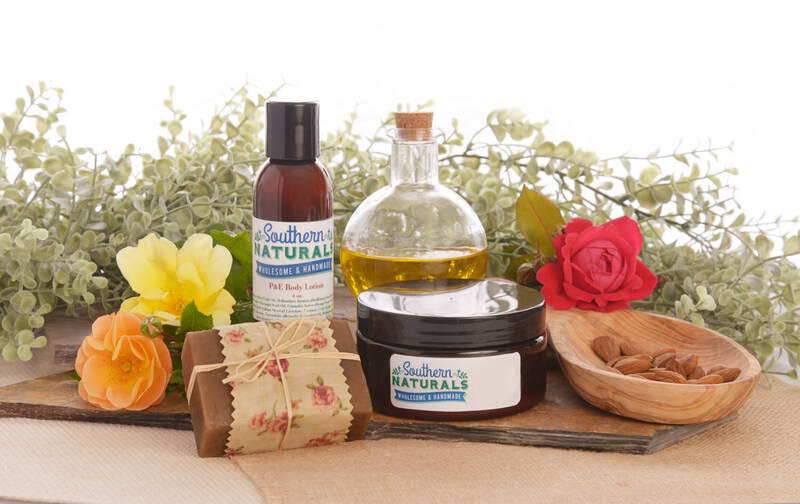 You will love Southern Naturals all natural, chemical free lip balms created to nourish, hydrate and moisturize your lips. 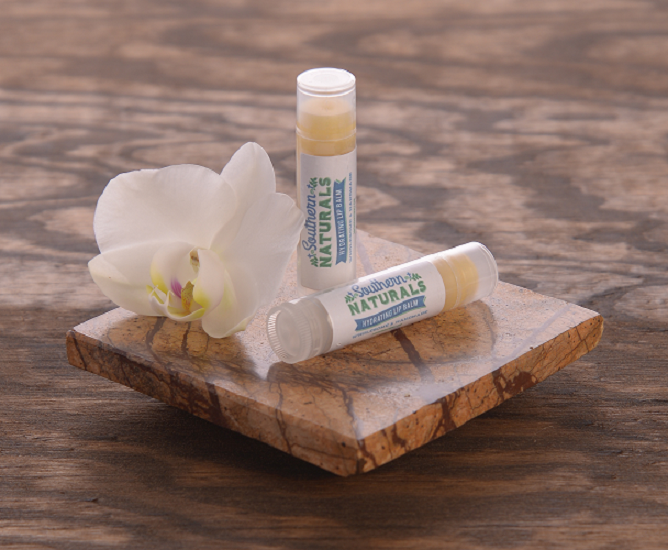 Our lip balm goes on extra smooth and leaves your lips soft and natural. 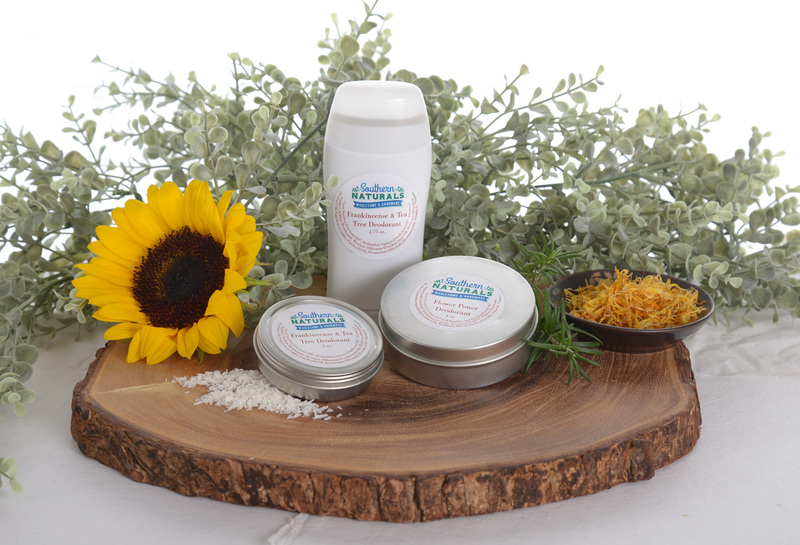 Southern Naturals herbal bath teas, also known as bath salts, bring healthful benefits by enjoying a relaxing bath of dead sea salts, herbs and epsom salts as well as by inhaling the pure herbal fragrances. ~If you experience an adverse reaction to any product, discontinue use immediately. To perform an allergy test before using a new bath or body product, apply a small amount to the inside upper arm, leave on for one to two minutes and then rinse off. If you see an unfavorable reaction within 24 hours, discontinue use. Keep products stored up and away from children. Statements on this website have not been evaluated by the FDA and should not be construed as medical advice. Information on this site is not intended to diagnose, treat or cure an illness. By purchasing or using ANY items from Southern Naturals, it is implied that you have read and understand the risks of using herbs and herbal products and therefore release Southern Naturals from any and all liability. If you are pregnant, nursing or plan to apply to children under 2 years old, you must do your own research or contact your physician before using herbal products.